I received admission to the Roger Williams Park Zoo and the Mystic Aquarium. Last month, the boys and I took a road trip to Providence and Mystic over April vacation. Since we had gone to Maui over February break, we stayed closer to home this time. 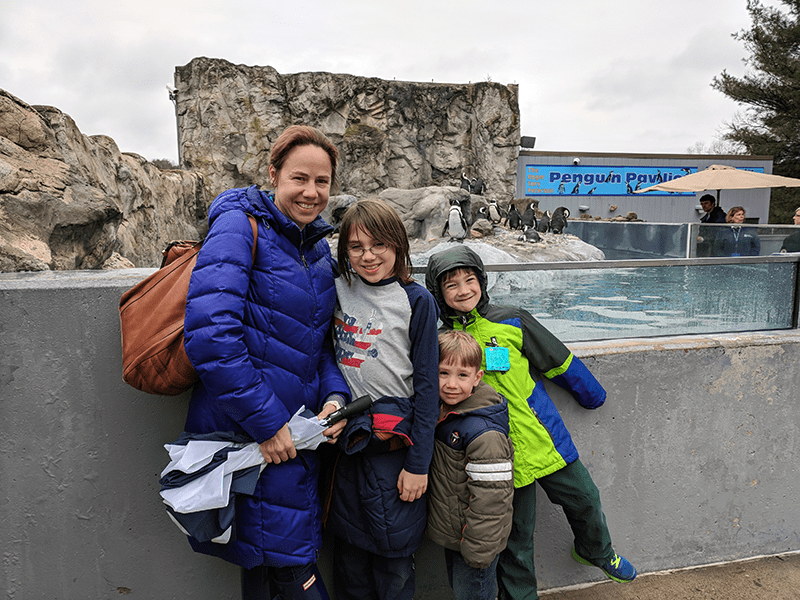 I like to keep the boys busy and we are always up for an adventure, so we decided to spend an overnight near Mystic, Connecticut (to visit the Mystic Aquarium) with a stop in Providence to visit the Roger Williams Park Zoo on the way there. It was the perfect mini-staycation from the Cape! 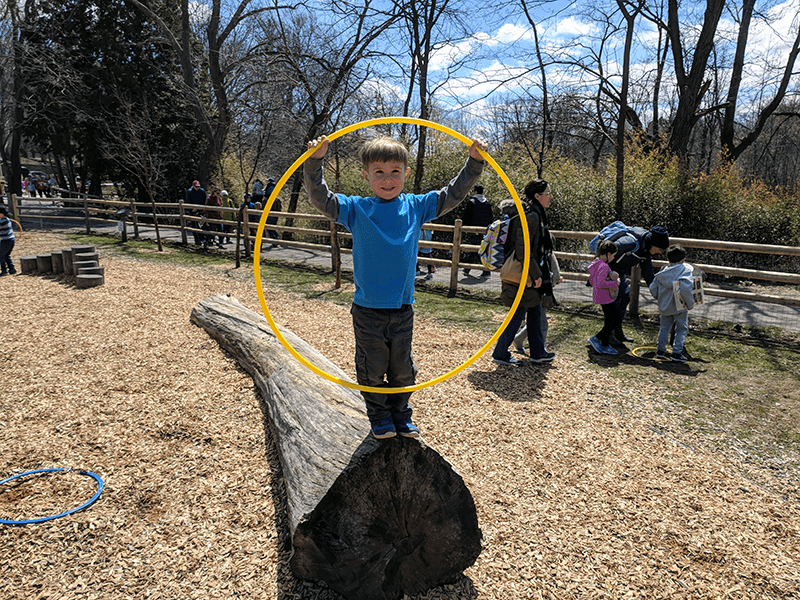 We were originally going to stop at Roger Williams Park Zoo on the way down to Mystic, but due to the weather forecast, we opted to reverse the order of our stops! We used to live in Providence prior to moving back home to the Cape, and the zoo was always a popular destination for the boys. We were a short 5-minute drive from the zoo, so we would often make weekly visits! 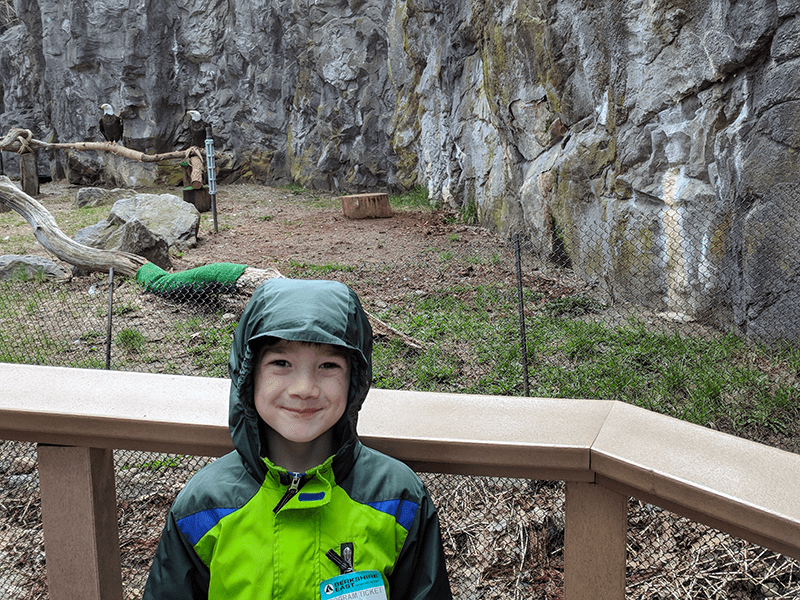 There are so many reasons I love Roger Wiliams Park Zoo, but one of the biggest ones is that it’s easy to get to right off I-95 just south of downtown Providence. There is plenty of free parking at the zoo, so it’s budget friendly too! We visited over April vacation, so it was more crowded than usual, but we were still able to find a parking spot during the morning hours. Another reason I love this zoo is that it’s very manageable to do with small children. It takes about an hour and a half to move through the zoo with busy toddlers, just enough to REALLY tire them out for a nap on the way home! The zoo covers 40 acres and has everything from giraffes to flamingos to bison to red wolves. 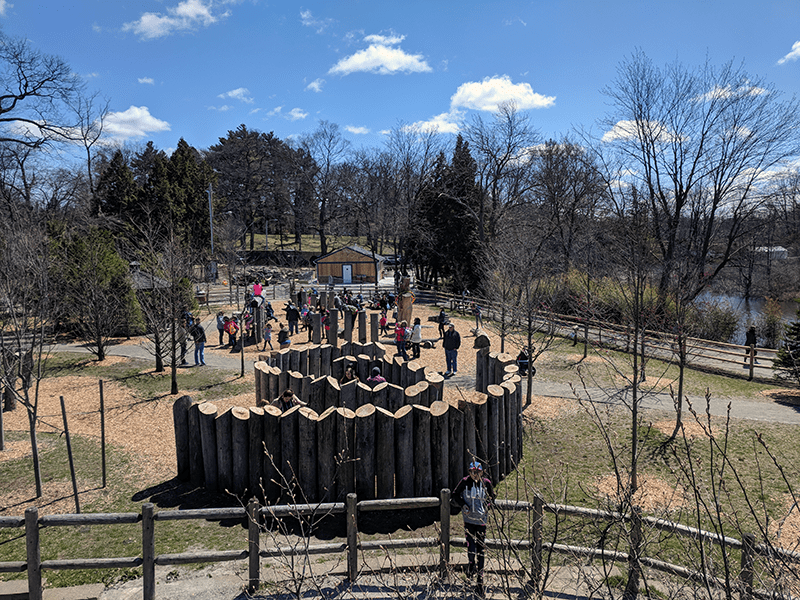 When we visit the zoo, we never miss the Big Backyard— a GIANT tree house and interactive play area for kids. There’s a water play area that’s great for hot summer days! The boys have always loved the giraffes and elephants, and you can now participate in giraffe feedings (click HERE for more info). There are plenty of covered areas to stay and enjoy these giant animals for awhile! The Alex and Ani Farmyard is a big hit with all 3 boys, and I love that you can now enter the goat enclosure to groom them– they love it! Take a walk through the barn to see all sorts of farm animals including a barn owl! If you love cheetahs, don’t miss them in the Fabric of Africa exhibit. This summer the Rainforest Exhibit will reopen after a HUGE renovation! 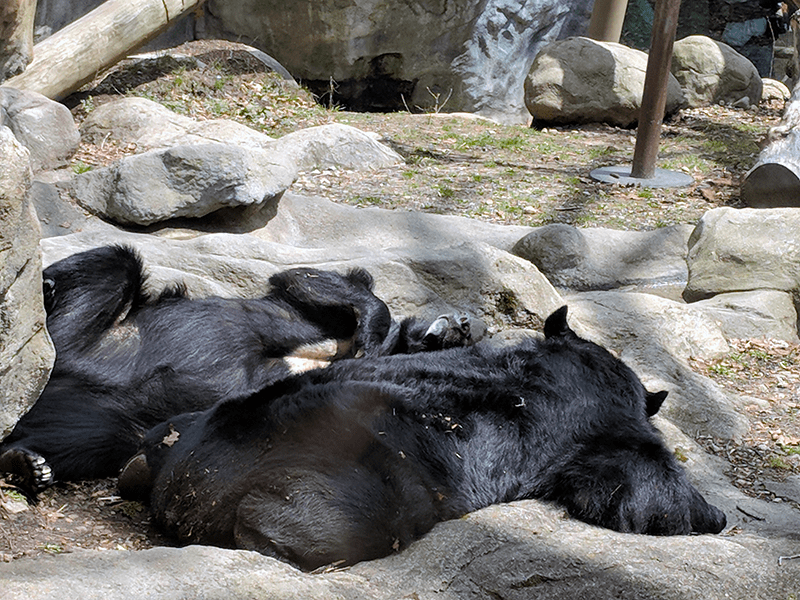 It was a little chilly, so the Moon Bears were cuddled up to stay warm! We always finish our visit with a stroll along the Feinstein Junior Scholars Wetlands Trail. It’s a great way to end your visit because you can stop off at the Big Backyard again on your way out! 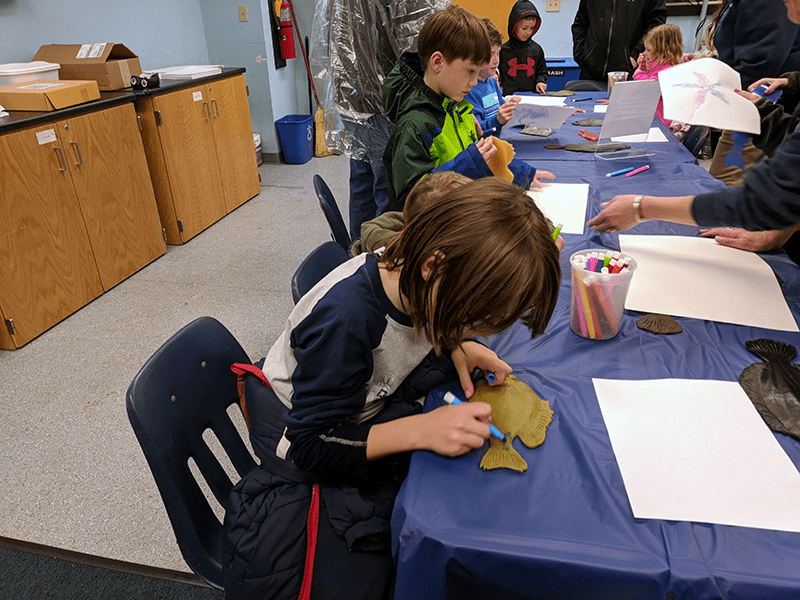 Don’t forget to visit the zoo on the web or on Facebook to check out all of the different events going on through the summer including their summer camps! The aquarium is an AWESOME place to take young kids for the afternoon. It’s about 50% inside, so we opted to do the aquarium on a slightly rainy day and had a great day! For our family we actually prefer to visit Mystic than Boston, because it’s easy to get to from the Cape, parking is free, and when you leave you can have your admission ticket validated and use it to return for the next two consecutive days! You can’t beat that for a budget-friendly family activity! The African penguins are also viewable from above and below the water and are also a family favorite. This visit we checked out the 4-D theater’s Shark: A 4-D Experience® and it was AMAZING! We’ve been a number of times, and from my perspective, the shark movie was the best! 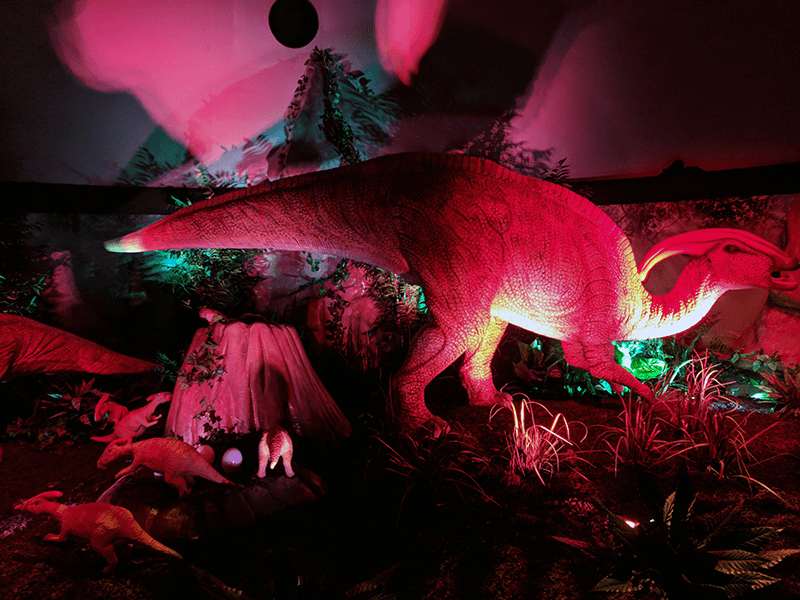 The theater empties right into one of the feature exhibits like the Jurassic Giants which featured 12 animatronic dinosaurs. You should also plan on checking out the Foxwoods Marine Theater to check out the sea lions. Sea lions are very intelligent and you’ll be amazed at what they can do! 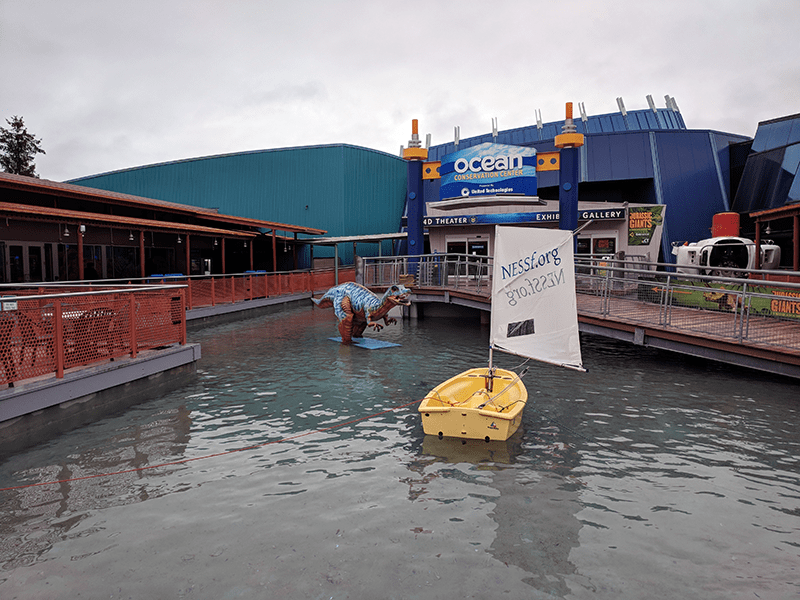 Show times are posted outside of the theater, so make sure to check as soon as you enter the aquarium, so you can work it into your visit! Check out the Mystic Aquarium website and Facebook page to stay up to date. You can also purchase tickets ahead of time to skip the line on busy weekends or holidays!